I am so in love with this hat – I wear it around the house, and outside now that cooler weather is here. There is a reason that the cloche was the most popular hat shape in the twenties and later – It looks good on every face shape, and flatters everyone who puts it on. Turn up the brim in the front, or in the back, or on the side – each way gives a different look, all of them flattering, framing the face in different ways. And who doesn’t love a tassel?! 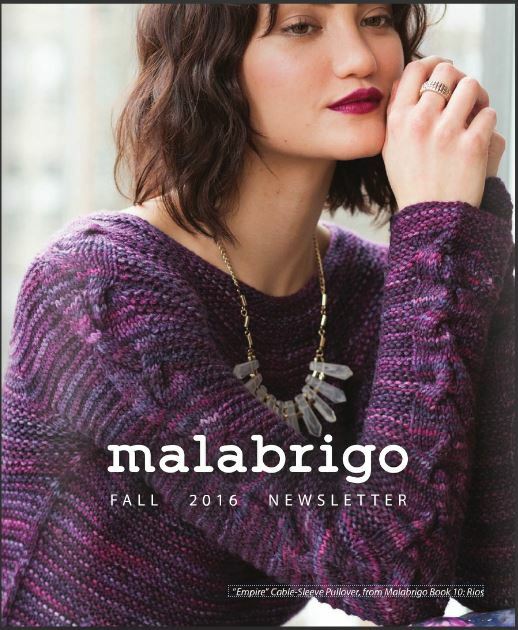 Next up, I was thrilled to be the designer interview in the fall 2016 Malabrigo Yarn Newsetter! 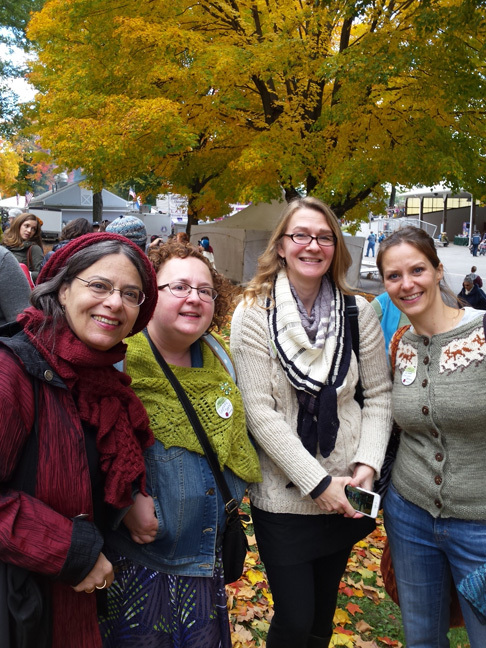 I really enjoyed talking to them about designing with their gorgeous yarns, and about The Malabrigo Junkies group on Ravelry, where I have been a mod for the last 8 years. OK, now on to the fun stuff! One of my very favorite things about having this space is the my ability to use it to talk about some of my very talented friends and fellow designers. Today I want to talk about my friend Talitha Kuomi, who definitely fits the category of very talented. 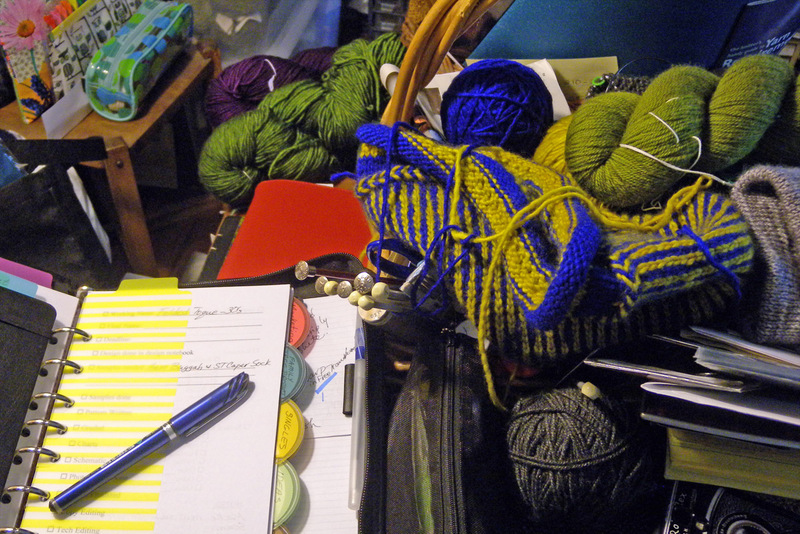 I love the way Talitha approaches knitting and design, as she approaches so much in her life, as art. Everything she does is filled with creativity. Design is only one of her arts, she is also a songwriter, musician, poet, photographer, and, as anyone who follows her on Instagram can see, art permeates everything that she does. Not long ago she released a fabulous book, The Voyages of Vivian, made in partnership with Mrs. Crosby’s Yarns. It is so much fun, and so beautiful to look at, that I hardly know where to start talking about it, or what I like best about it! The idea is so wonderful and engaging – The book contains a series of letters from Mrs. Crosby to her childhood friend Vivian. These letters encourage Vivian t0 travel the world, visit enticing places, and have adventures, following the clues, a scavenger hunt of sorts, that Mrs. Crosby has put into her letters. If that weren’t fun enough each location we visit as we travel alongside Vivian is accompanied by one of Talitha’s beautiful designs. It’s part knitting pattern collection, part mystery, part travelog with gorgeous photos from exotic locales, and is completely engaging! It’s fun to read, fun to figure out the clues, and fun to armchair travel alongside Vivian. 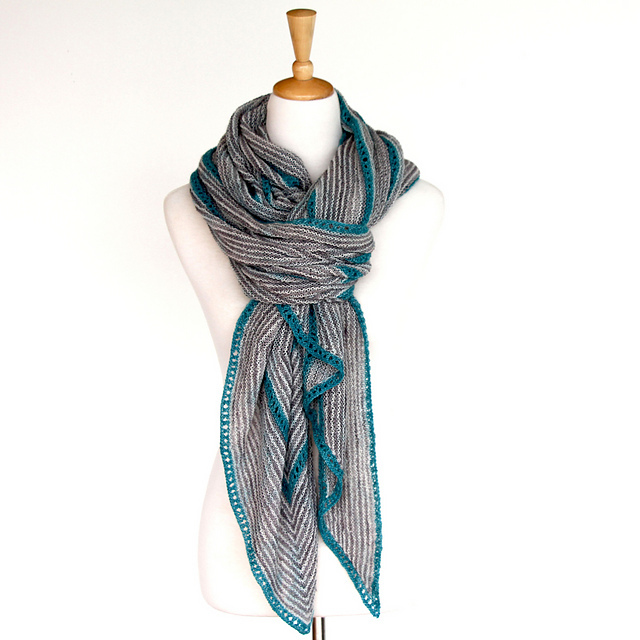 Plus Talitha’s included designs are really fun to knit, and very, very wearable. See what I mean about wearable? These stand out to me, but honestly all 8 of the patterns included in this charming eBook are very wearable. And the book is great fun to read. I hope I have piqued your interest in Talitha and her fabulous designs. You can find her on her web site, on Ravelry, and on Instagram – all are worth investigating! That’s all for today! We’re busy carving pumpkins and watching scary movies to get in the mood for Halloween. It’s looking autumnal out, and there is the proverbial chill in the air, so there’s lots of tea, and the occasional cookie. Later we’ll decorate the porch, and prepare for the hordes coming tomorrow evening. Until next time keep knitting! One question that I get asked a lot is where the name for my Visiting Linda hat came from. I am always unsure of how to respond, because the hat is a tribute to a dear friend who died far too young, and as such the story doesn’t have a happy ending. 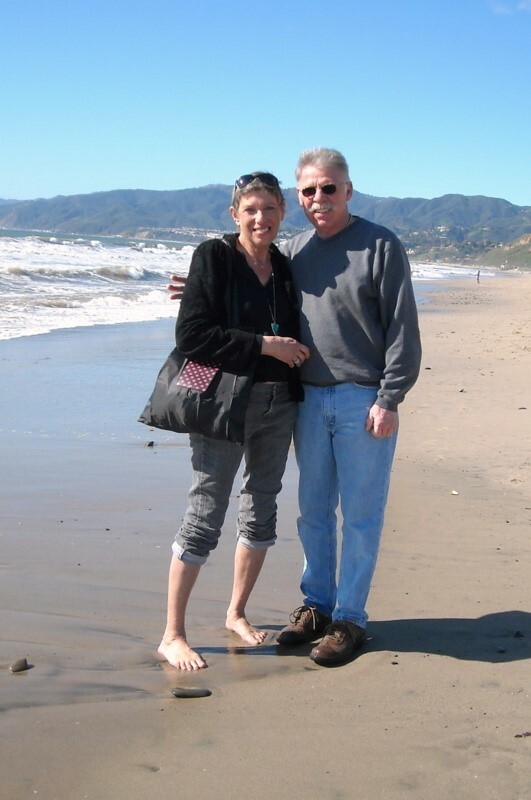 But I simply cannot resist the chance to talk about one of the best friends I have ever had, and undoubtedly one of the most fabulous people I have ever known – the magnificent Linda K. Stine. We first met in the mid-1970’s when, both struggling actors in NYC, we were cast together in an Off-Broadway production of the play Chamber Music by Arthur Kopit. 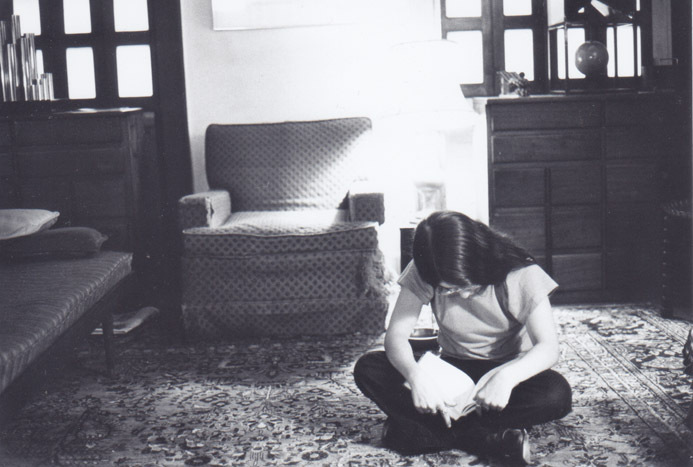 Linda and I met at the first rehearsal in someone’s apartment on the upper west side. She looked so familiar to me, and it wasn’t until about half way through that initial rehearsal that I realized that the reason was that the week before I had seen her on the TV game show The $10,000 Pyramid, where she played brilliantly and won dramatically at the very last second. At that rehearsal I also learned that she was a very talented performer, with a true gift for comedy. She had us all laughing hysterically every time she opened her mouth, and often even when she didn’t say a word. When that rehearsal broke up it turned out we were walking to the same subway station, and so we walked together, and during that ride on the 2 train a lifelong friendship was born when she reached into her bag, pulled out something wrapped in silver foil, and asked “Do you like chocolate?” On that train ride we learned that we not only shared a passionate love for anything chocolate, but also for reading, and theater, and that our birthdays were 1 day apart (August 14 and August 15 forever more deemed “our birthday”) and that we lived a mere couple of blocks away from each other in Brooklyn Heights. Clearly the friendship was meant to be. How had we not met each other before? The only thing we didn’t have in common was our stature – she was 5’9” and I am 4’11”. 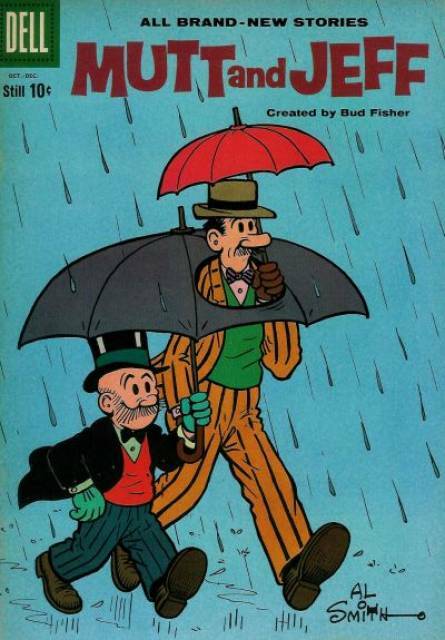 She immediately dubbed us Mutt and Jeff, after the old comic series, but she said that she didn’t like the negative associations she had with the word mutt, so she said would call me Mütie, and I should call her Jeff. The nicknames stuck, the only nickname in my entire life that did. 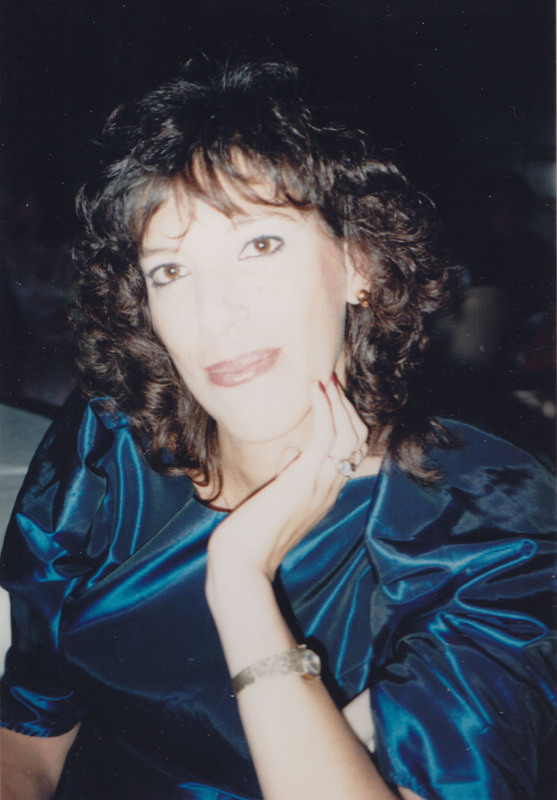 I could write an entire book about the love, laughs, fun and friendship that filled the next 36 years, the movies we saw together, the chocolate and ice cream we ate, the road trips, endless conversations, books, music, boyfriends, bad dates (she set me up on the only blind date I have ever been on –an unmitigated disaster!! ), the performances we applauded each other in, the meals we ate together, the dramas we supported each other through, the dreams we shared, and the plans we made. And through it all we talked, talked, talked, and solved all the problems of the universe. She was such a great friend, always there when you needed company, support, a shoulder to cry on, or someone to celebrate good news with, and a great companion for any activity from antiquing at Brimfield MA to a trip to the lower east side to go clubbing. She made us real popcorn whenever we went to the movies, and always carried emergency chocolate. She was a bridesmaid in my wedding; I wore her grandmother’s cameo as my “something old”. 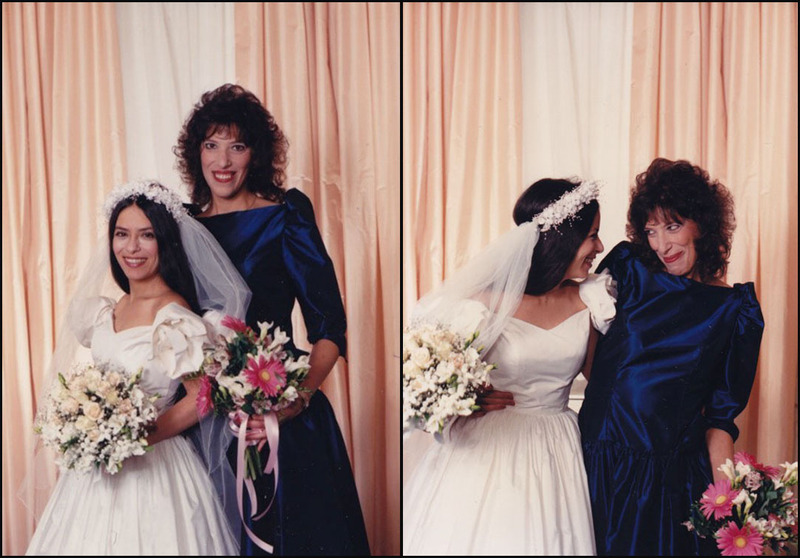 She moved from NYC to Colorado in 1988, so our friendship went long distance for the next 20+ years, but it was the kind of friendship that always felt like we had just seen each other the day before. We wrote letters, sent photos, made phone calls, and as time went on switched to long emails. I needed something to knit on the three and a half hour trip down to New York to “visit Linda”. I had knit a lot of hats for her during her chemo, but I wanted to create something special for her now that her hair had grown back, so with her smiling face in my mind’s eye I cast on and this hat came off my needles. She loved it, and was excited to have a knitting pattern named after her. 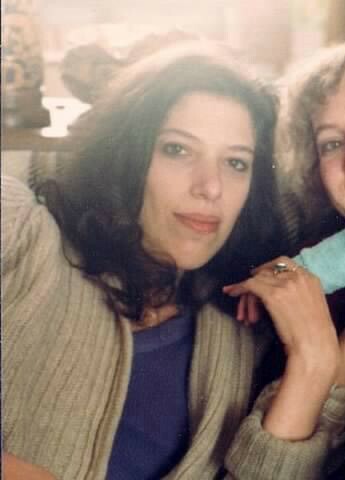 I think of her often; every year on our birthday, and on so many other days too – when I read a good book I wish I could share with her, watch a good movie, hear a good joke, eat ice cream or chocolate, or walk the streets of Brooklyn Heights. I’m grateful for all the years we got to share together, and all the joy she added to my life. I miss her like crazy, but feel her with me always, especially when I wear this hat. I hope that if you make it you too will feel her smile. I absolutely love Valentines’s Day. Now, before you start writing in to tell me that it is a purely commercial holiday, one that was intensified if not actually created by the card and candy industry, let me explain that my family has a slightly different take on the day. For us it is less about romantic love (although we acknowledge that as well) and more about love in general; a day to celebrate everyone that we love be they friend, family, human, animal, book, character, food, or anything else that makes us fill up with love and happiness. 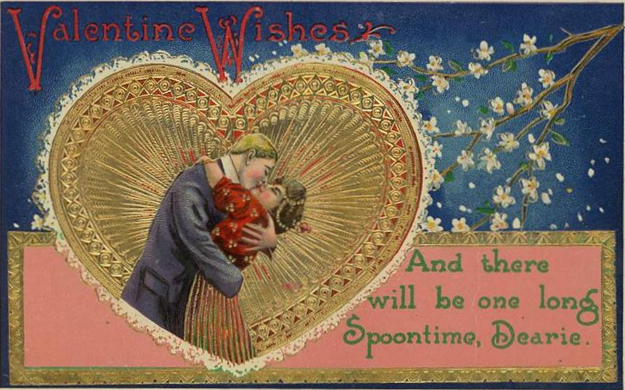 For us it’s a day to celebrate the fact that love, in all its many forms, is at the center of our lives. 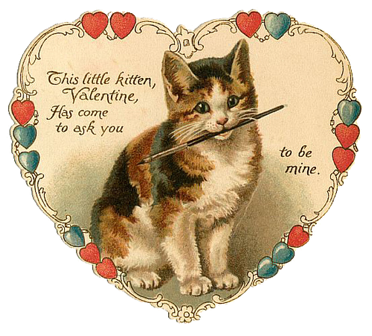 I sometimes bemoan the fact that Valentine’s Day has become so focused on romantic love, as it leaves those without current partners feeling sad and left out or grumpy and bah humbuggy. Whereas a day to celebrate everyone and everything that we love includes everyone and everything, makes a place at the party for everyone who wants to attend. Everyone has someone or something that they love, be it a partner, a parent, a child, teacher, a pet, or even a book or a poem, or even a chocolate cake that they made last Thursday and OMG it was so good! All of these loves are worth celebrating. My Aunt Eva, at various times in her life. I love that center photo – taken at the Copacabana! 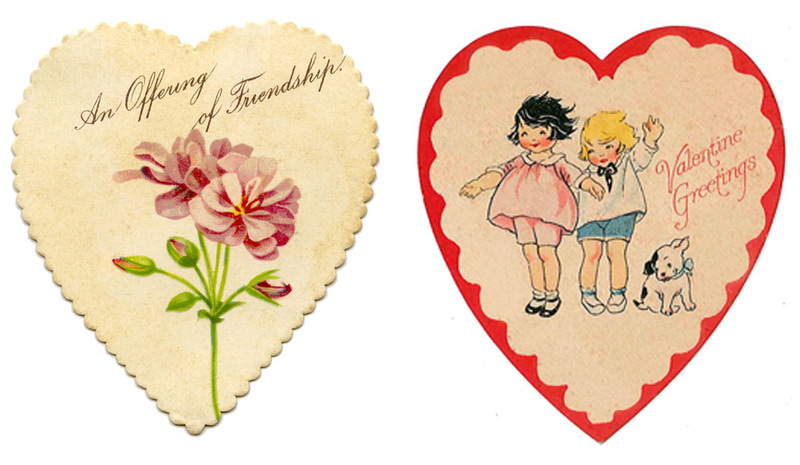 My favorite Aunt, my beloved Aunt Eva, loved Valentine’s Day, and made it the official family holiday. She surrounded herself with pink and red, and loved anything with hearts on it. 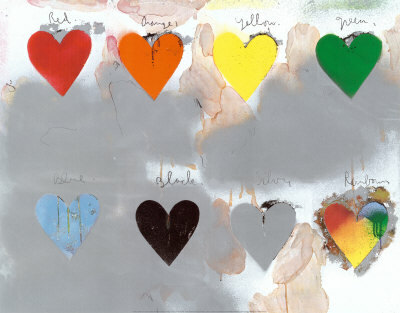 An art gallery owner, she gave me a poster of Jim Dine’s Hearts as a housewarming present back when I got my first apartment on my own at age 20. It’s hung on the wall of every house and apartment I have had since. 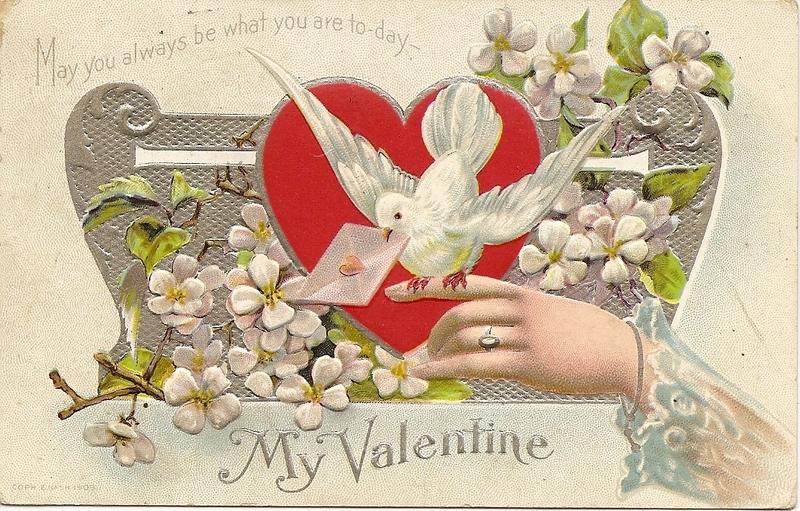 She signed every letter (and she was a great and prolific letter writer) with her mantra: “Valentine’s Day every day!” which to her meant spend each day celebrating who and what you love, and living in gratitude for all the love and wonderfulness that the world has to offer. So I think of her a lot on Valentine’s Day. 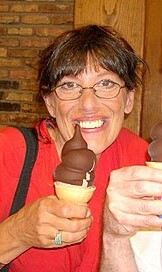 She was an amazing and brilliant person who lived an amazing life, worthy of an entire blog post of her own some day. 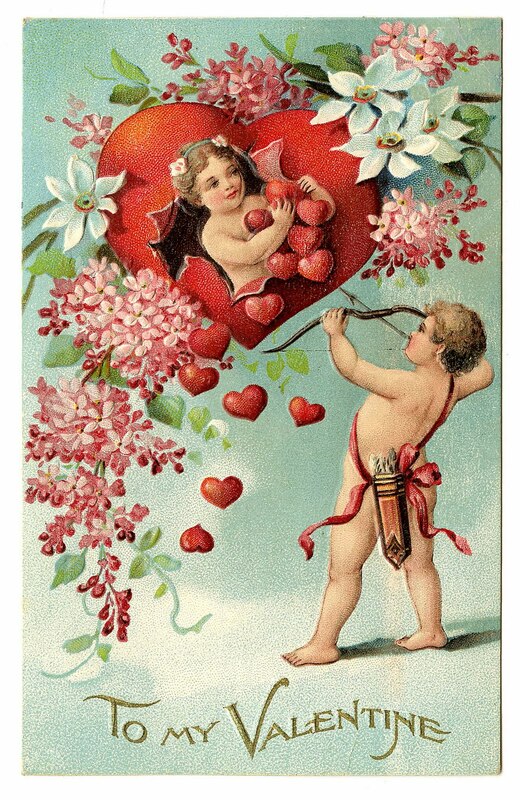 I have thousands of wonderful memories of her that I’ll write about soon, but for today I will just stick to her main philosophy: Valentines Day every day! We have always taken her advice to heart, and even 5 years after she died at the delightfully old age of 97 (in March – she would never have left us before celebrating one last Valentines Day), we still celebrate with great excitement every year – we hand make cards for each other, we have a celebratory dinner for which we have been known to make not only heart shaped cakes and cookies, but on occasion a heart shaped Sicilian meatloaf as well. We not only have 3 generations of our family that attend, but we also invite extended family and friends, so that we can celebrate how much we all love each other. We decorate with banners and swags made from hearts, we sprinkle heart shaped sequins on my grandmothers white damask table cloth, a way to have her with us as well. We sing songs about love loudly and with laughter (one of our closest extended family members was a Broadway performer for years, and has a glorious and large tenor voice so singing is a must). We buy napkins with hearts, and use heart shaped serving dishes or beautiful flowered bits and pieces from generations past. We talk about those we love who can no longer celebrate with us, and remember them with poems and stories. We invite the animals and sometimes decorate their collars with hearts and flowers, and serve them special treats for dinner in special dishes. Love is what matters, be it between parent and child, husband and wife (or wife and wife, or husband and husband), friends, pets and their people, work colleagues, designers and those making their patterns, teachers and students – wherever and whenever love shows up it is to be appreciated, acknowledged, and most of all celebrated. To paraphrase the old song: love makes my world go round. So thank you to all of those I love for being in my life. I feel so lucky to have so many people to love, and I share this day with you. Thank you to those who buy my patterns or take my classes, because your doing so allows me to work at this business that I love, another type of love to acknowledge and be grateful for. So thank you all for your presence in my life. Now let’s have a party!! Tell me about who or what you love below in the comments, or via email (just hit reply on my newsletter. Not subscribed yet? Click here). I’ll randomly choose one response to win a free pattern of their choice in a week as a Valentine. 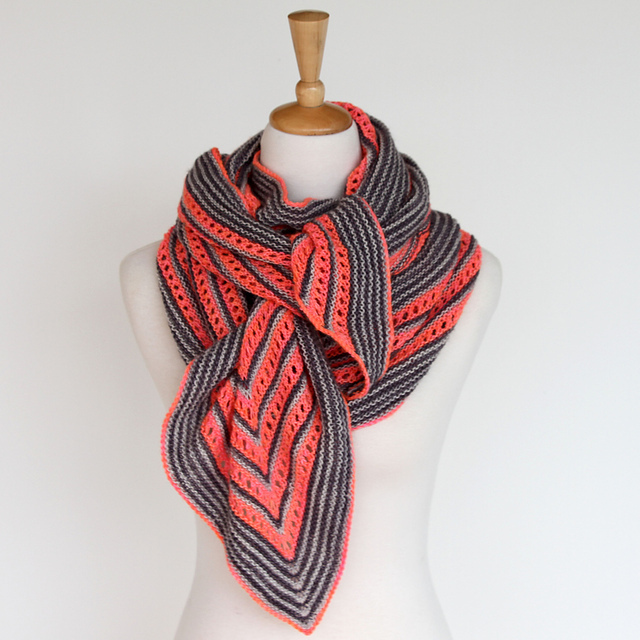 The Indie Design Gift-A-Long 2015 is almost here!! It’s that time of year again! 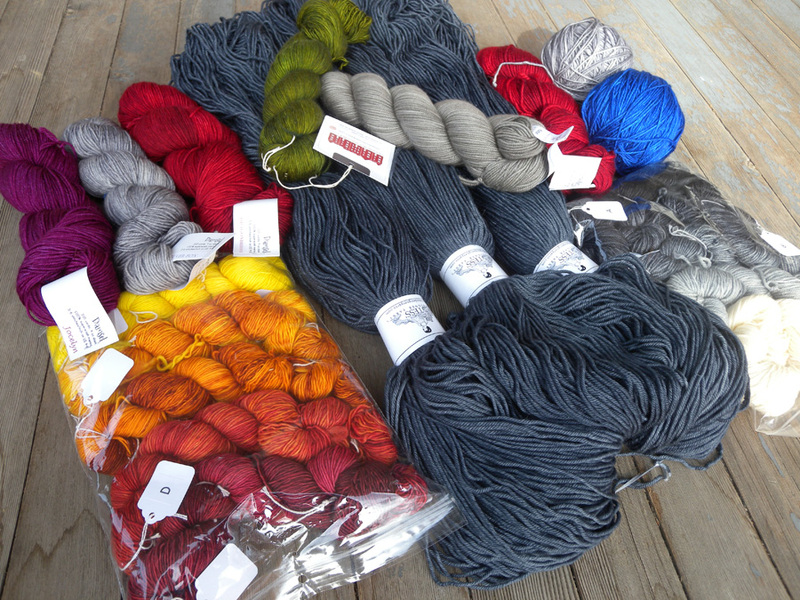 The Indie Design Gift-A-Long 2015, known to its friends and participants as GAL2015, starts tonight in the Indie Design Gift-A-Long group on Ravelry! The group is already jumping with participants planning which patterns to buy, what projects to cast on first, which KAL/CALs to join, and which prizes they hope they will win! 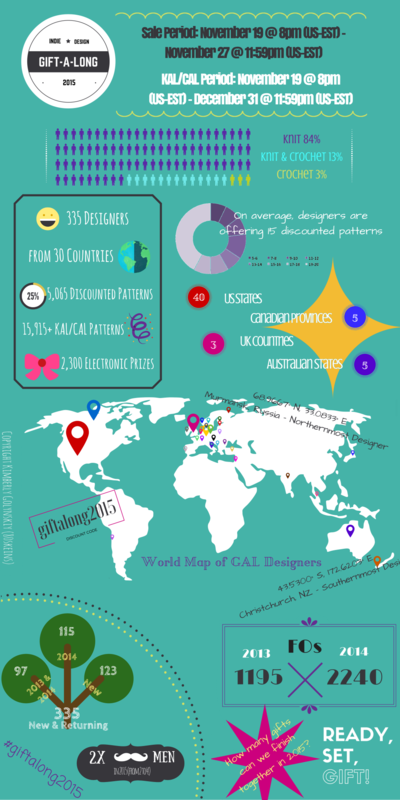 I posted a bit about what the GAL is in my last blog post and newsletter, but for those of you who are not familiar with it, it is basically a huge party for 6 weeks, where hundreds of indie designers will be putting over 5000 of their patterns on sale for the first 8 days (Thursday November 19th 2015 at 8:00 pm US-EST through Friday November 27th 2015 at 11:59 pm US-EST), followed by 6 weeks of KAL/CALs in which all patterns designed by all participating designers are eligible and all paid patterns by those designers are eligible to win any of the thousands of prizes. We have lots of games, and lots of community and lots of fun. Basically it is a wonderful 6 week party that ends with a bang with our big New Year’s Eve party! This is the third year that the GAL has been in existence, and it has gotten bigger and better each year! As of this writing we have over 5700 participants, and in fact have more of everything: 335 participating designers, 2300 electronic pattern prizes, almost 150 physical prizes that range from books to kits to yarn to stitch markers. We have designers from 30 countries, participants from all over the world as well, over 5000 patterns available in the sale, and almost 16,000 patterns (no, that’s not a typo!) that are eligible for the KAL/CALs and prizes! 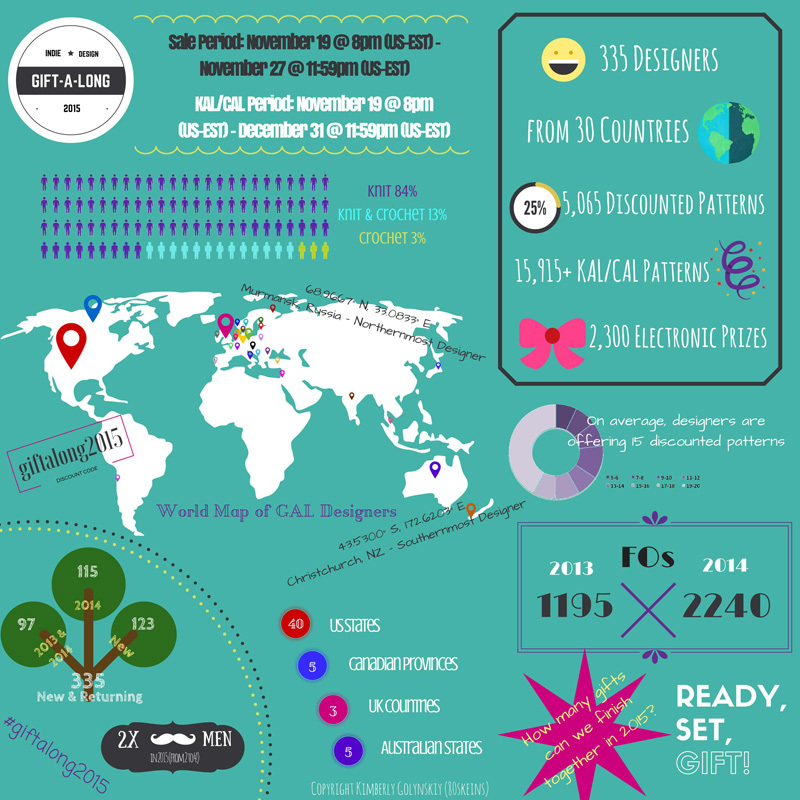 Look at these wonderful stats put together by the Gift-A-Long stat queen, who is also one of our participating designers, Kimberly Golynskiy. There are a lot more of her wonderful GAL2015 stats to see here at this thread in the GAL group on Ravelry. If you want to see a larger version of these fun stats click here. These 20 patterns will be discounted 25% from Thursday November 19th 2015 at 8:00 pm US-EST through Friday November 27th 2015 at 11:59 pm US-EST with the special code available in the GAL group on Ravelry along side almost 5000 other patterns by these fantastic 335 designers. So grab a few patterns, join a KAL/CAL (or several), stop by the Chat Thread and introduce yourself, and join the party. I promise you won’t regret it – we have an absolute blast prepping for the holidays as only fiber people can! P.S. Another sneak peek from my upcoming vintage hat collection in this week’s newsletter so if you’re interesting in seeing sneak peeks, special sales, new releases and what I am up to in general sign up here! 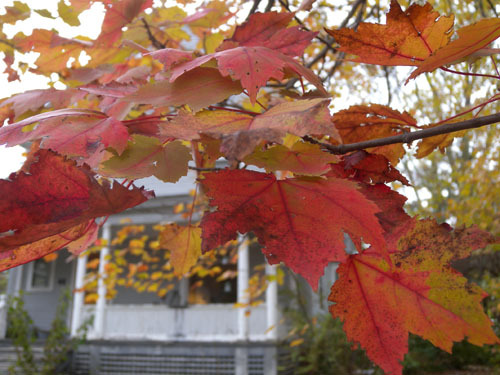 Full fledged fall is here in western MA! Woolen accessories have made their appearance, along with duvets and wool blankets on the beds, soup in a pot on the stove, and lots of cups of tea! 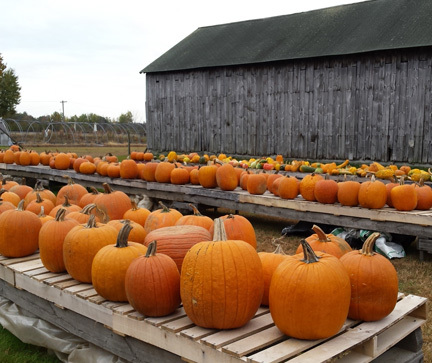 If you follow me on social media you saw this beautiful photo of a local farm where we went to get our pumpkins, but I love it so much I had to put it here for those of you who hadn’t seen it. It so captures this time of year in the beautiful Pioneer Valley. My mind is so filled with new ideas for designs inspired by the new beauties in the studio that I can hardly stand doing anything other than knit and write up new patterns, but there is much to do before I can do that, including finishing those pesky patterns already in the works. Luckily some of this new yarn is for samples of designs almost finished (hence the fact that 2 skeins are already rolled in balls ready to go) so I am in a state of yarny bliss at the moment. But there is a lot going on these days that is keeping me busy – the most exciting thing being that the 3rd annual Indie Design Gift-A-Long 2015 (aka GAL2015) is coming!! What is the Gift-A-Long? It’s a multi-designer event to help you kick your holiday gift-making into high gear! 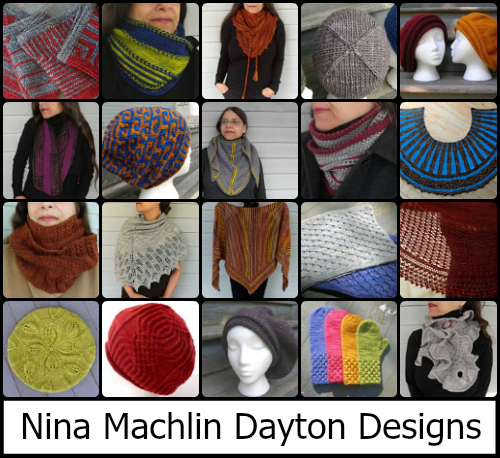 The Indie Design Gift-A-Long is a 6 week long KAL/CAL of holiday gifts made from patterns designed by a rather extensive list of independent knit and crochet designers. From Thursday, November 19th at 8:00 pm US EST – Friday, November 27, 2015 at 11:59 pm US EST tons of indie designers (last year we had 300 participating designers) will be discounting between 5 – 20 of their patterns 25% for this event. Once you’ve got your Gift-A-Long patterns, we encourage you to join one of the KAL/CALs which run from Thursday, November 19th at 8pm (US-EST) through our New Years Eve party, Thursday, December 31 at midnight (US-EST). All designs by participating designers are eligible for the KAL/CALs (last year that was over 11,000 patterns). We have games, tons of prizes (literally thousands if you count electronic pattern prizes as well as physical prizes of yarn, kits, project bags, stitch markers, books, and so much more amazing stuff!!! ), great conversation, and a LOT of fun. So pull up a chair and come join us in the Indie Design Gift-A-Long group on Ravelry! So why does this make me busy? I am, along with my fellow designers Lindsay Lewchuck and Simone Kereit, one of the Admins who, along with the best team of mods in the world, put this event together. So if you are looking to get some holiday knitting or crocheting done in an atmosphere of great fun and camaraderie, along with winning a few prizes come hang out with us! Lastly, before I go, I wanted to talk a little bit about a new collection of patterns by a friend of mine that I am very excited about! It is the LINEAR Collection by the always brilliant Ruth Garcia-Alcantud, done in collaboration with Malabrigo Yarn (one of my personal favorite yarn companies to work with) as part of their Malabrigo Freelance Pattern Project. What a gorgeous collection Ruth has put together! The 3 garments and 2 accessories included in the collection are “based on mathematical concepts and spatial geometric ideas” which as a math nerd I love. 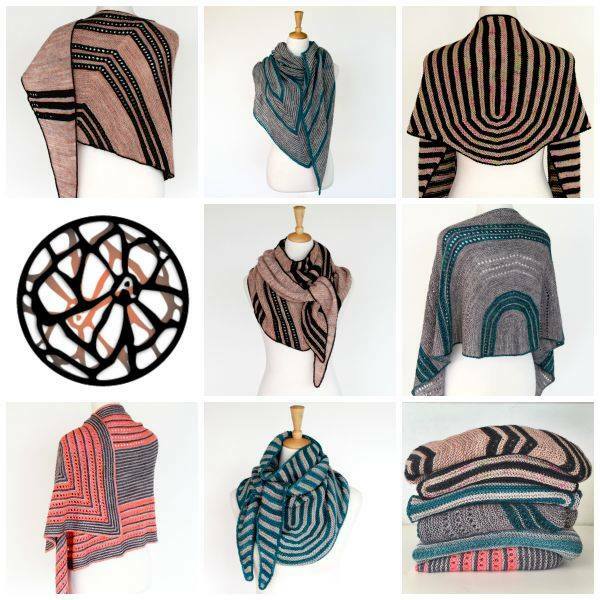 But even if you are not a fan of math these designs are absolutely beautiful, interesting to knit, and very, very wearable. I also yearn for Lightning Ray, a lace shawl that looks like my idea of a perfect project – easy enough to knit while socializing or watching a movie, but interesting enough to never be boring. Ruth’s patterns are so well written (no surprise since she is a stellar tech editor) and she has also included a number of photo tutorials and other extras in the eBook version, so it’s well worth picking up the entire collection, although the patterns are all available separately as well. My To-Do list is crazy long, so I’m out of here until the next time! Until then, keep knitting, join us in the Gift-A-Long group on Ravelry, and most of all enjoy this gorgeous fall weather! P.S. – If you want to see another sneak peek from my upcoming Vintage Hat collection (and get a coupon for 25% off one of my patterns) subscribe to my newsletter by clicking here! Two blog posts back I started my post with a stock image of a desk and computer. I thought I was so slick, choosing a pretty minimalist desk with a computer, a tea cup, some beautiful white tulips, a notebook, and a chair with a knitted throw over the back. Pretty? Yes. Me? Well…probably not. I heard from a number of you after I posted it with comments along the lines of this one from my pal Sally: “I was a little surprised by your desk — I was expecting something more in line with the old Victorian house you live in! !” That’ll teach me to use a stock photo, no matter how beautiful it looks! So no, that’s not my desk. My desk certainly is more in keeping with my eclectic, colorful, cluttered Victorian house. In fact my actual desk is unusable because its surface is totally covered with books, as are all the flat surfaces in the room we call the study, which started out with tons of book shelves and 2 desks (one for my fellow book addict also known as my husband, and one for me). The study now has no place at which one could possibly sit and study, but it does have many things to study, namely books on every possible subject covering every possible surface. My current “desk” if it can be called that, is the end table next to my end of the couch where I sit and work most days. 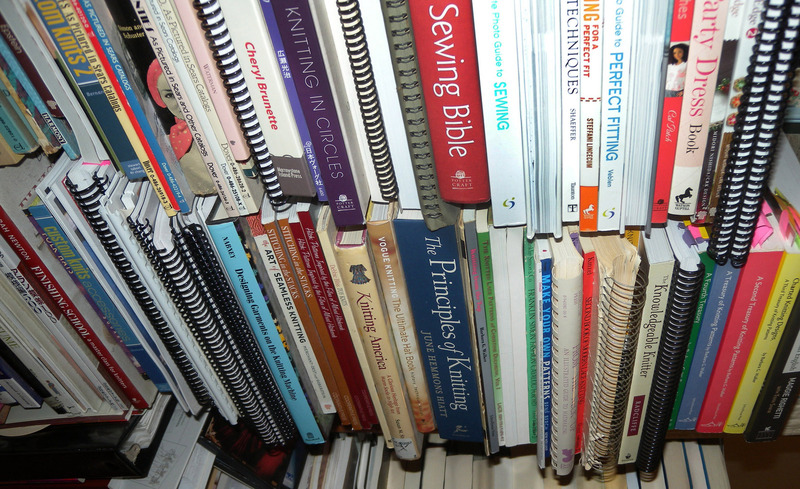 I have always had an addiction to books that equals my addiction to yarn and all things knitting. I have many childhood memories of curling up with books – in window seats, on couches, in bed both sick and well, in the big green chair in my childhood living room, in the backyard, on the front stoop. Some of my favorite memories are of having some money in my pocket from my birthday or Christmas, and going to one of the many book stores near and dear to my heart at different times in my life, and buying great stacks of paperback books to read (and smell, and clasp to my chest in moments of overwhelming book joy). Memories of things I learned, places I traveled to inside a book, people I met, friends I made, tears of joy or sadness I shed on the pages I turned. Memories of libraries – my neighborhood libraries growing up in NYC, the one near my grandparents house in central NY State, at my schools – especially the school I attended from 5th grade through high school, watched over lovingly by the incomparable Annie Bosworth who let me work as her assistant starting at age 10 putting those shiny slick covers over the book jackets as new acquisitions came in, and thus allowing me first dibs on checking out the new arrivals as they were cataloged in. 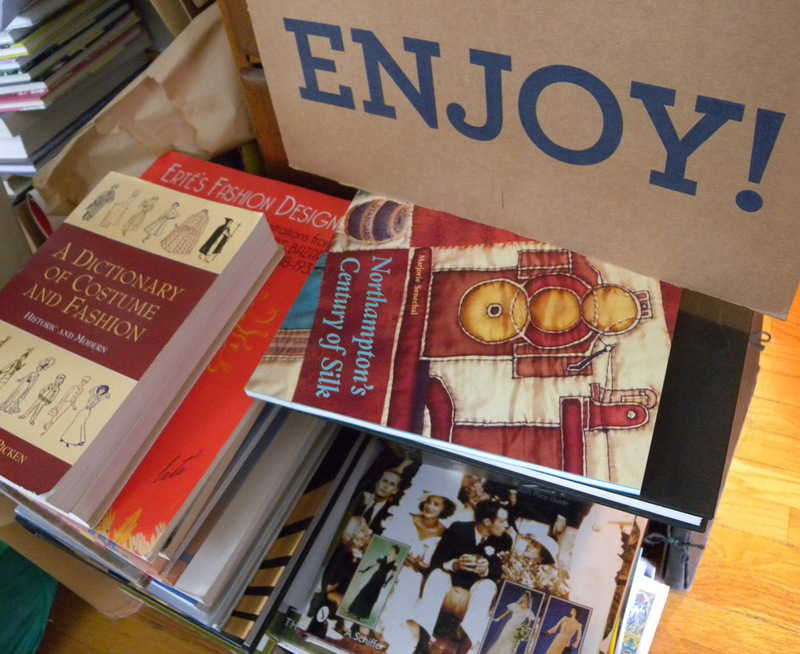 I’m not very good at getting rid of books either (that may be a bit of an understatement). When DH and I moved in together back in 1987 we had an entire wall in our living room devoted to bookshelves, which were so full that we had to negotiate a thinning of the herd that was fair to us both. I remember with regret every one of the books that I decided to let go of on that wintery evening. But true love conquers all and makes sacrifices easier. We have passed this addiction on to our daughter. When she was in third grade she was given a homework assignment to count something in her home. When she turned in her assignment her father and I quickly heard from her teacher who was concerned that she was “telling tall tales”. Concerned, we went to the parent teacher meeting only to discover that these “tall tales ” were the homework she turned in in response to this assignment. She had chosen to count her favorite thing: the books in her room. Since she had never divested herself of any of the books she had owned in her 9 years of reading and being read to, the total she turned in was a very large number. “Clearly,” the teacher said, “this is not the truth. No one could have this many books in their entire house, not to mention in their room.” Ummm…except that this was true. All the board book, the picture books, the early readers, the first chapter books (not to mention the longer chapter books we read together at bed time) – they totaled that enormous number. I knew because I had watched her count them. And it didn’t count the children’s books that my husband and I still had from our childhoods, and which she read regularly although they didn’t live in her room. All of this is to say I LOVE books, and I talk about them a lot. It probably comes as no surprise to anyone who knows me well that there is a section in my newsletter where I talk about what I am reading. 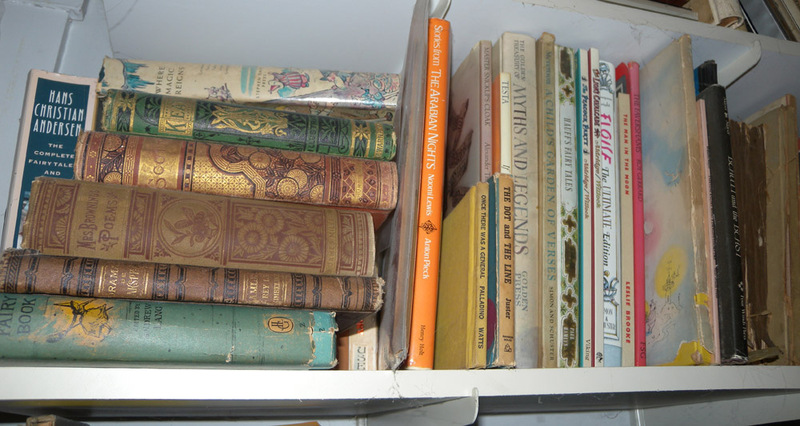 Since this blog is called Adventures in Knitting and Design it will probably need to be generally about non-fiction books that fall into those categories (or at least I’ll try to keep it on topic – I promise nothing! ), but if you are interested in knowing about the fiction and other types of non-fiction books I am reading and thinking about do subscribe to my newsletter and see what I’m recommending there. OK! So to get this back on topic (not my strong suit as you probably know if you follow me at all) let’s start with the basics. It is impossible to limit my lists to such small numbers, so this is just a beginning, with lots more to come. Did you notice that my lists of 5 contain more than 5 books each? Want to know how totally book crazy I am; how addicted, besotted, and totally nuts? I found it nearly impossible to even create a list of books in any one category that stopped at anywhere near 5. My first draft had 25 design books and 17 basic knitting books. Sigh…clearly we will need more posts on this subject (umm…or at least I need them). Coming in future blog posts, interspersed with other thoughts and ramblings, will be more on knitting books, alongside posts on other related types of book – stitch dictionaries, grading, design, inspiration, lace knitting and design, the history of knitting, the history of fashion and costume, millinery…I could go on and on, but you get my drift, and saw the photos above. I promise none of the book photos above are stock photos; they are all too real. I loves me some books! 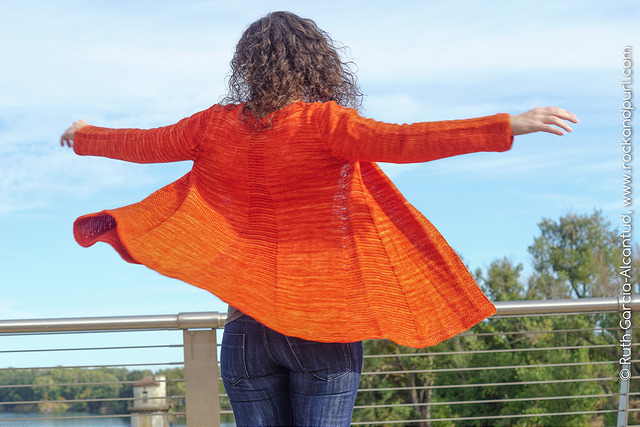 Lastly, I want some input – I want these ramblings to be interesting to both the knitters who are interested in my patterns, and to the designers that I work with and mentor, so let me hear from you about what interests you. I tend to write about my life a lot, but if there are specific things you would be interested in hearing about please drop me a line (you can just hit reply on my newsletter and it will get right to me) or comment below. So until next time – go read a book! I’ll be back soon. P.S. 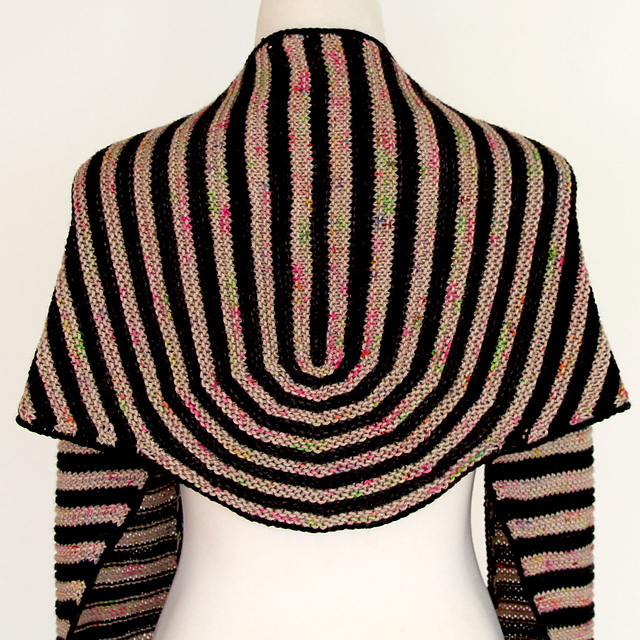 – The winner of the Ambah O’Brein Songlines Collection eBook in my last blog post was Anni aka Shadow9cat on Ravelry. Congratulations Anni! Competition vs Community plus a great giveaway! I do a lot of teaching and mentoring of newer designers, something I enjoy a lot and get great satisfaction from doing. I really love watching new designers grow and push themselves to be the best that they can be, and I love sharing with them resources and skills that result in creativity, professional quality, and ultimately satisfaction for them as they translate the ideas in their heads to their needles, their patterns, and ultimately to sales. But as our field gets more and more full, and the choices presented to knitters and crocheters gets greater and greater, I get a lot of questions about competition. “How do I make my patterns stand out?” is relatively easy to answer – make them the best that they can be, with professional looking photographs, clear and accurate instructions, and most of all create beautiful original designs. But sometimes I get questions from designers that want to support their fellow designers, but are afraid that if they support them by talking to their followers about them that they will lose sales that would have come to them had they not pointed their followers to these other designers. These questions always make me sad, as I don’t see my fellow designers as competition, but rather as community which, by my definition, is the antithesis of competition. To me it’s a source for inspiration and support, and there is no better learning tool that knitting (or at least reading) other designer’s patterns. I only compete with myself, continuously pushing myself to be the best I can be, and I celebrate my friends and students successes right along side my own. Just because someone loves and buys a fellow designers patterns doesn’t mean that they also won’t love and purchase my patterns. This field is full and the choices vast but so are the customers, and just because we design the same things (be it shawls, cowls, hats, sweaters or whatever) doesn’t mean that our customers are choosing one or the other or choosing one designer and rejecting the other. This mind set can lead to unhappiness, and a loss of community which, if you read my blog regularly you know I value highly in the process of creativity. There is room for us all in the marvelous big pie of knit and crochet design, and we can all have a slice even when sharing the other slices with our peers. I find it impossible to not get excited about other designers work, and when I get excited I want to share that excitement! So in this blog post I am not talking about my designs but about one of my fellow designers work that I am really excited about. One of my fellow designers, the wonderful and very talented Ambah O’Brien has recently released the most gorgeous collection of shawls and wraps inspired by the songs that the Aboriginal peoples of Australia used to map their land, called The Songlines Collection. I get so little time to knit from other designers patterns these days, but I will definitely be making a few from this collection and I can’t wait to knit them and to wear them! 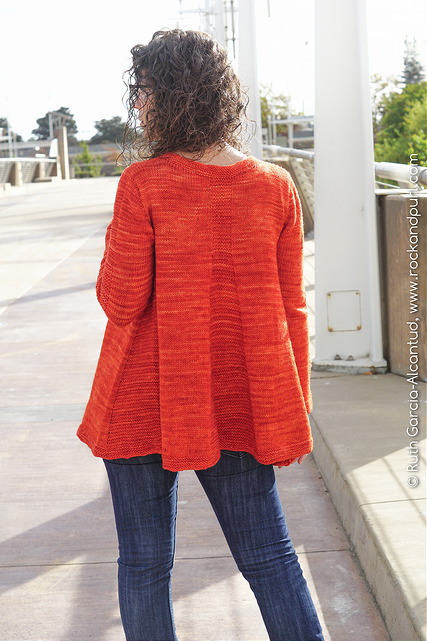 This collection is full of interesting construction and shapes, and the patterns are full of my favorite kind of knitting – meditative enough to knit while talking or watching something , but complex enough to hold my interesting from the first stitch to the last. Oh how I love these two – stripes, texture, color – totally swoonworthy! I want them both so much that I can’t decide which to make first. So many possible color combinations! And a unique and interesting construction that I am really excited to knit. Look at that interesting construction! I am a sucker for stripes, but also for a unique construction. I love finding different ways to put things together, and this pattern just draws me in. 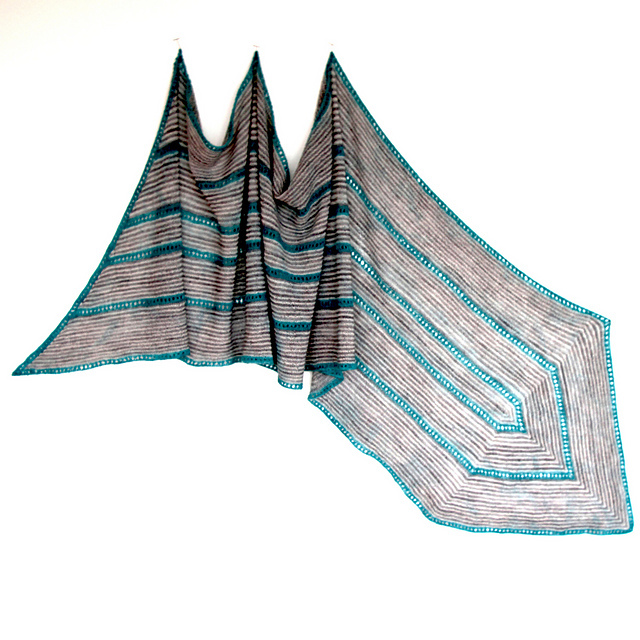 I need to make this shawl! 1 – If you already subscribe to my newsletter you don’t have to do anything – you are already entered! Every current subscriber to my newsletter gets one entry just for being a subscriber! 2 – Not already a subscriber? You can subscribe to my newsletter by going here, and after you confirm your subscription you will be automatically entered to win. 3 – Not interested in my newsletter, but still want a chance to win? Leave a comment on this post below, and be sure to include either your email address or your Ravelry username in your comment, so that I can get in touch with you if you win. If I don’t have a way to get in touch with you I can’t count your comment as an entry, so be sure to include contact info! Easy peasy! I’ll randomly select the winner on October 9, 2015 so you have 8 days to enter before I choose a winner. If you win, I’ll be in touch; if you don’t win watch my social media on the 9th and 10th, and I’ll let you know where the next stop on the Ambah O’Brien Songlines Collection eBook giveaway blog tour is, so you can try again to win a copy of this beautiful eBook! 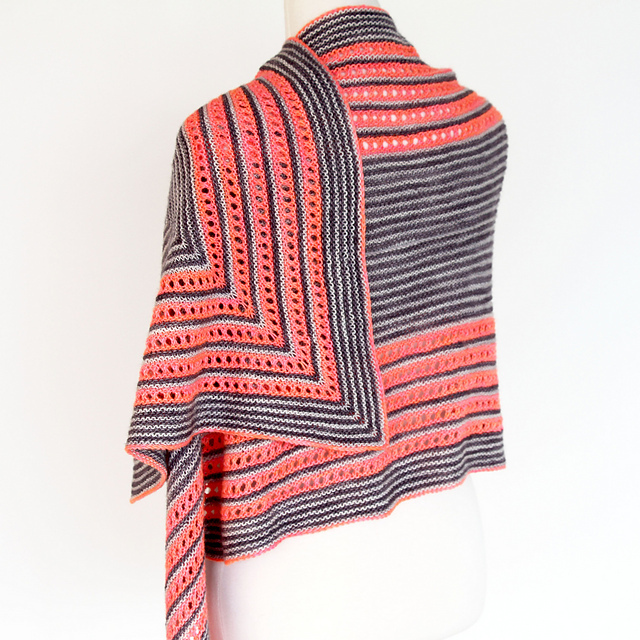 Now, I’m off to look at color combos to start knitting my Alinta Wrap. Or maybe the Carinya Wrap….Decisions, decisions, but such yummy ones! Rita and Arthur on I love love! Sally on I love love!